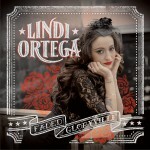 Lindi Ortega (born May 28) is a Canadian singer-songwriter and musician, known for her voice that has been described as a blend of Dolly Parton, Johnny Cash, and Emmylou Harris. She spent nearly a decade as an independent artist in the Toronto music scene, self-releasing two albums and an EP in that time. 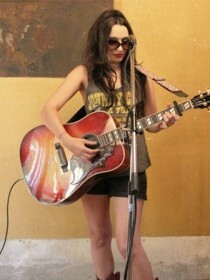 She has been described as "Toronto's best kept secret" and has been affectionately called "Indie Lindi". In 2008 she was signed to Cherrytree Records / Interscope Records and released a second EP. 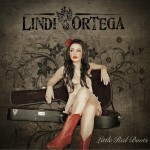 Her latest album is "Little Red Boots", released on Last Gang Records in June, 2011. At the end of 2010 and beginning of 2011, Lindi toured extensively as a backup singer for Brandon Flowers, the lead singer of The Killers, in support of his solo album, Flamingo. This tour included dates in the United States, United Kingdom, Germany, France, Italy and Spain as well as live performances on The Tonight Show With Jay Leno, Jimmy Kimmel Live and Later... with Jools Holland.